About awesome collaborations? Well, Converse just announced the launch of it’s Spring 2013 Missoni for Converse Auckland Racer collection. 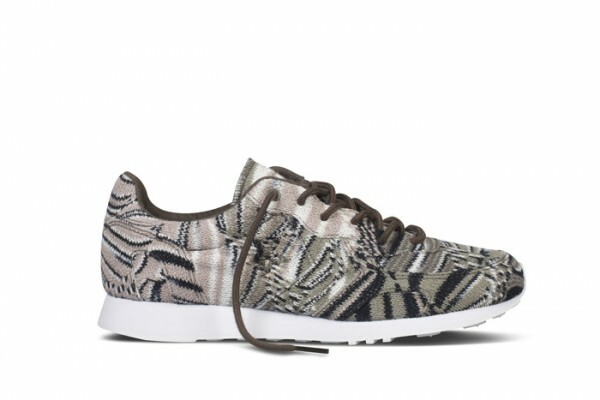 The latest collaboration with Missoni features the iconic Auckland Racer with two new fabric updates for spring. First debuted at the Missoni’s Men’s Spring Summer 2013 runway show in Milan, both shoes feature Missoni’s iconic multi-stitch fabric featuring a multi-color and grayscale gradient-fade version. The Auckland Racer silhouette hails from the early days of the jogging movement in the 1970’s and serves as the model for these beautiful collaborative shoes from Converse and Missoni. Each shoe features a wool/viscose upper, premium canvas lining and white rubber soles. The multi-color version features a subtle lamé yarn woven into the fabric.